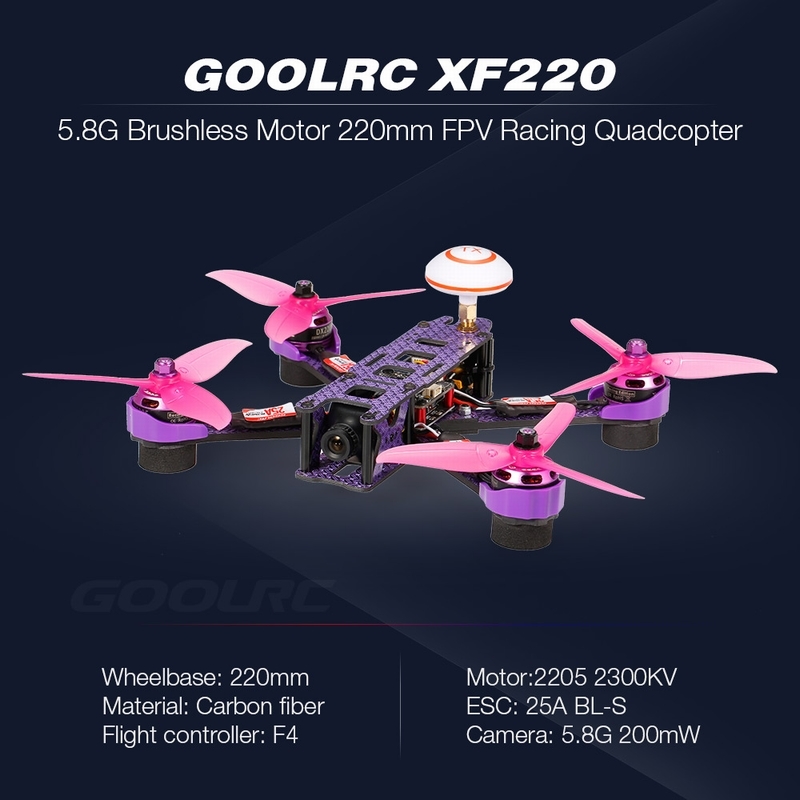 GoolRC XF220 is a high power racing drone with 2205 brushless motor, 25A BLHeli-S ESC and 700TVL 200mW image transmission system. 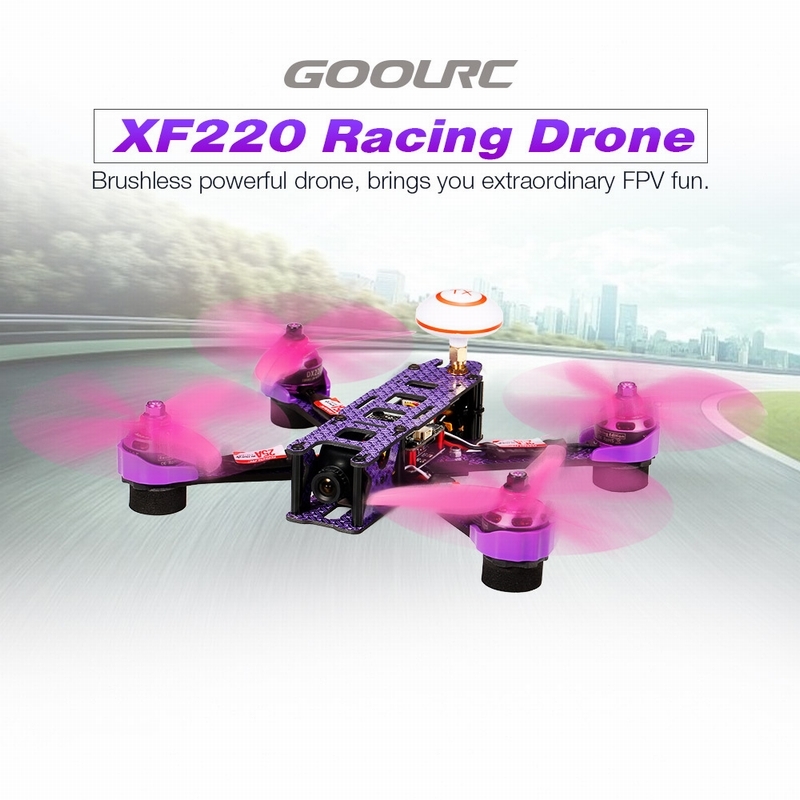 Equipped with newest F4 flight controller with OSD, XF220 is totally ready to race. Remote controller, flight battery and charger are not included! 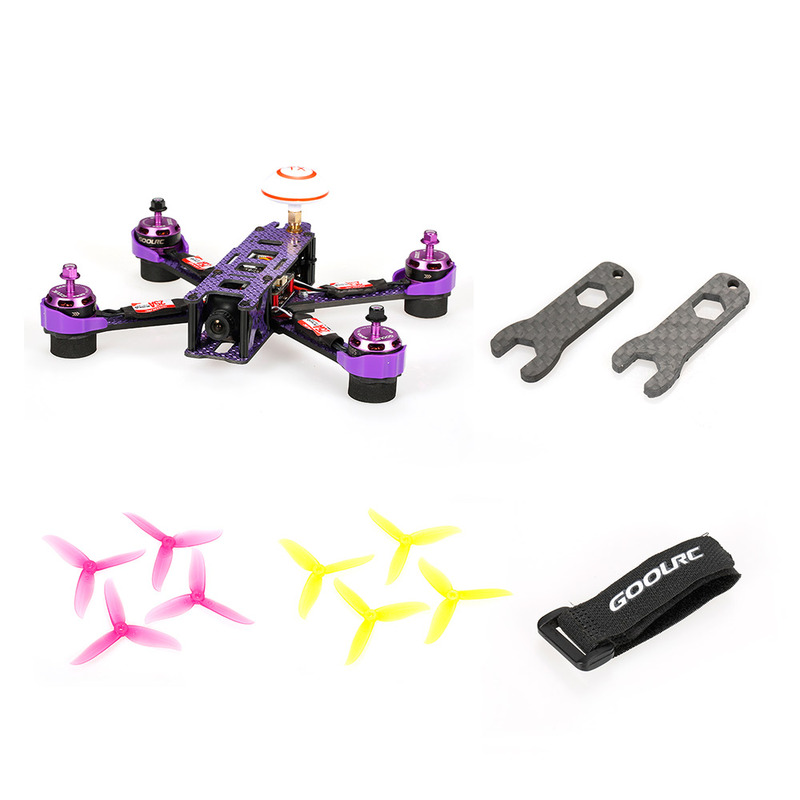 2205 2300KV brushless motors create amazing power and efficiency to meet even the most demanding racing requirements. F4 flight control with OSD. 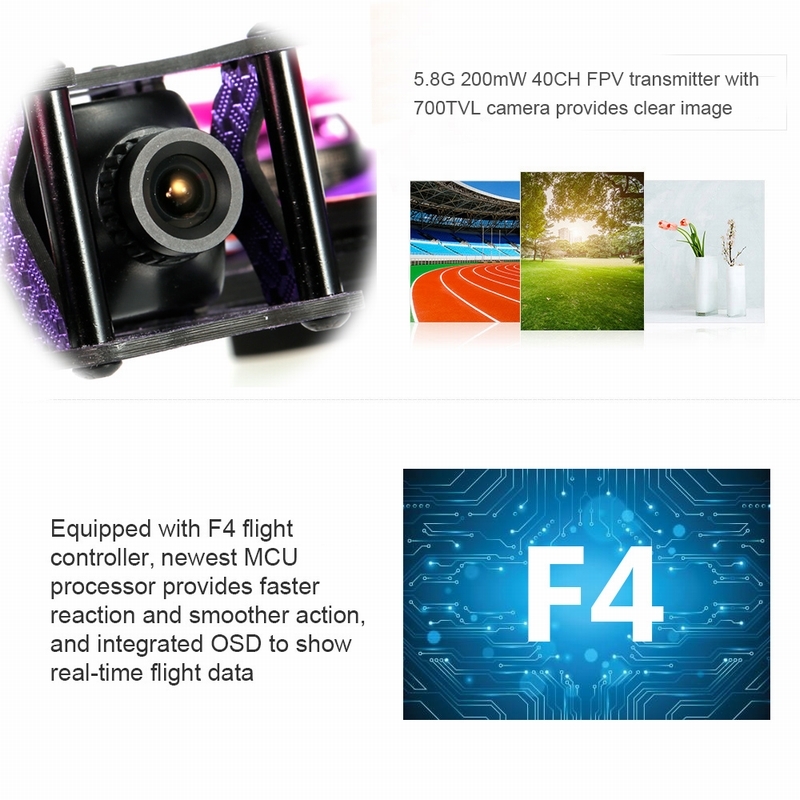 5.8G 40CH 200mW FPV transmitter and 700TVL camera provides you with a clean image. 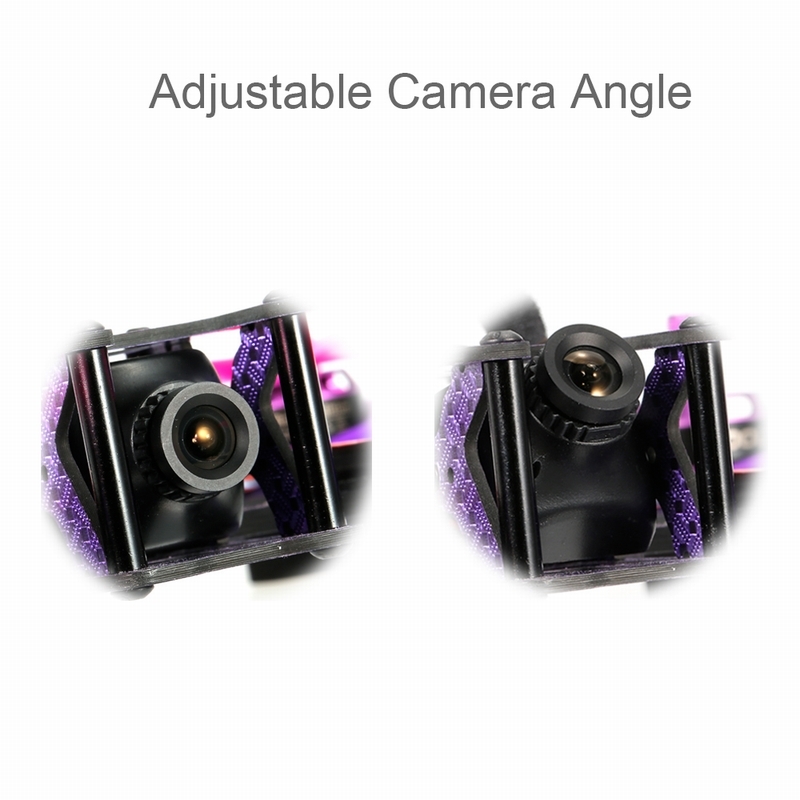 With colorful LED lights and buzzer, provide low voltage alarm and perfect for racing. In support of 2-4S power input.